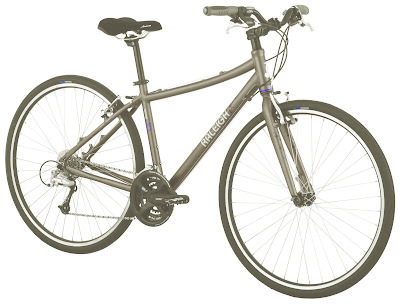 We like the 2009 Raleigh Detour 6.5, a great hybrid bike that is an excellent combination of comfort and performance. Why? Well, it has nicely spec’d components, including Shimano Deore and Alivio, and has disc-brake ready hubs. With its lightweight aluminum fork, it’s no surprise that the Detour 6.5 is not as heavy as other bikes in this category. Priced at $559.99, we currently have one at every store – Medina, Peninsula, and Rocky River – ready for you to test ride!